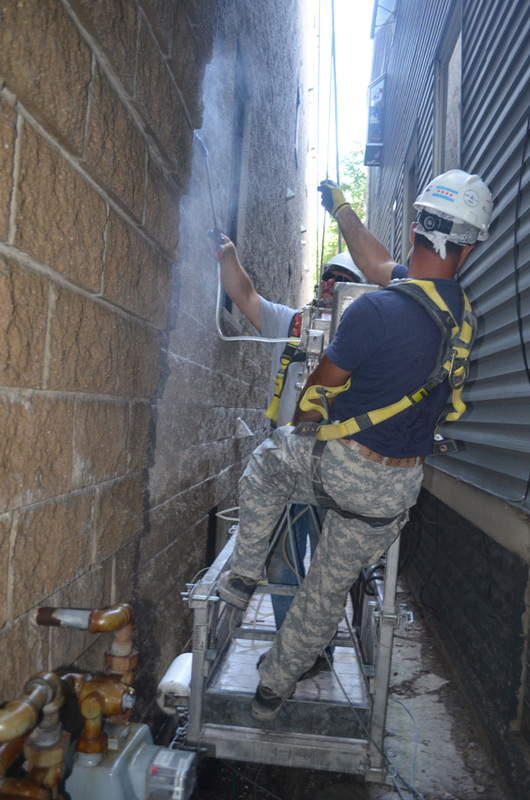 Chicago Masonry Waterproofing Company | Basic Brothers Inc. Water Proofing of Masonry Walls – Basic Brothers Inc. Walls are not subjected to standing water, but they are affected by moisture that can lead to structural damage, mold and more. 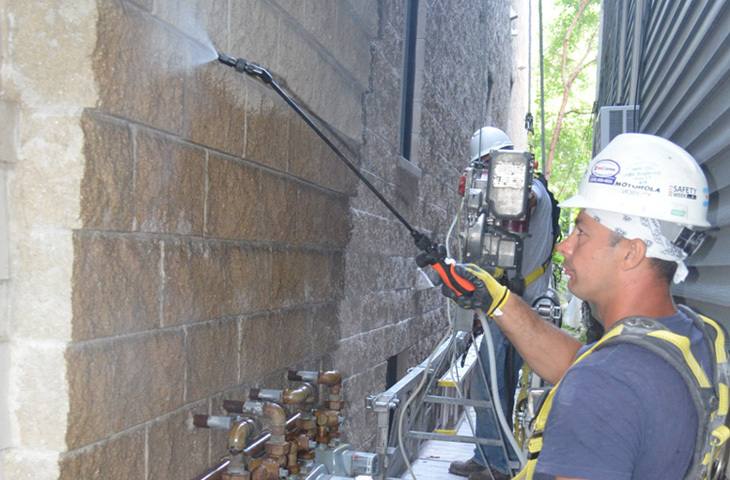 Basic Brothers union workers apply a special coating that protects your masonry walls and adds to their life span and gives you peace of mind. Our comprehensive understanding of Chicago’s buildings, weather patterns and the nature of stone and brickwork gives us a significant edge over our competitors in the industry. We know masonry is never completely waterproof, because the raw materials are clay, shale, cement, gravel, chip and sand. Even walls made from fired bricks can admit moisture if laid incorrectly or with unsuitable mortar. We have a specialist masonry waterproofing unit on hand to support our construction teams. The wide range of our services, allows us to provide fast and effective protection for residential homes, commercial and institutional buildings.